In the face of an ageing population and environment diseases, vast swathes of the human populace have been deemed as useless, as governments turn to advanced technology and machines the carry out manual labor and the like. According to Deck 13, The Surge will take place in a “very grim vision of the future,” though it’s still unclear how the studio plans to mould a game around this most intriguing set-up. Due to hit current-gen consoles and PC in 2017, there’s still much we don’t know about Deck 13’s new IP, though the studio has trumpeted its varied combat system and unique character progression as its unique selling points. Mind you, given the title’s dark, mysterious world, it is arguably the in-game universe that harbors the most potential of all. 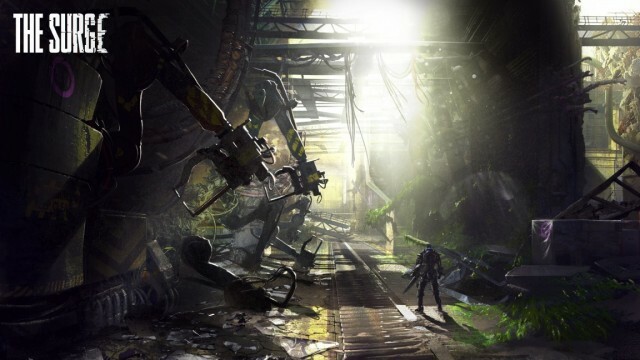 The Surge is still a ways away, given that Deck 13 has pegged the sci-fi RPG for a release across PlayStation 4, Xbox One and PC in 2017.